Warner Brothers Records has just made the special release available for pre-order. The first 1000 orders will be signed by composer TYLER BATES. If you are a hard-core fan...or think you might become one in a couple weeks...now's your chance to grab some sure-fire collector's material. 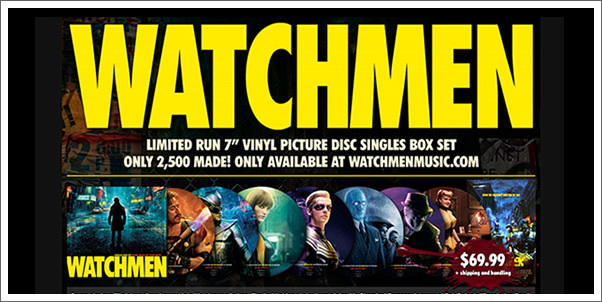 I just pre-ordered the Watchmen 7” singles box set. The best part is I get a free poster signed by Tyler Bates for pre-ordering!